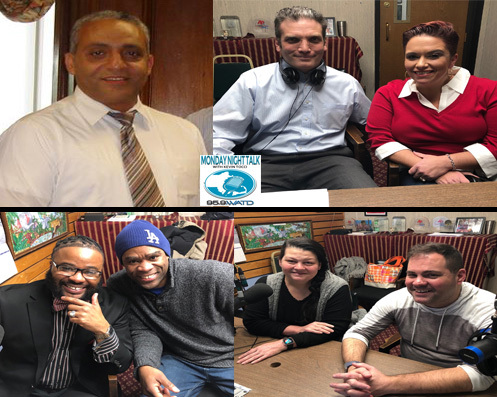 Welcome to the Monday Night Talk radio show podcast from January 21, 2019 with host Kevin Tocci featuring Brockton City Council President Moises Rodrigues; Keri Rodrigues, Mom-in-Chief of Massachusetts Parents United & MPA Chief of Staff Tim Langan; Bishop Tony Branch & Kenyatta Savage, featured in Boston Globe Spotlight Team's series on race in Boston and from the True Repertory Theatre Donald Sheehan and Victoria Bond!!! Do you have an topic for a future show or info on an upcoming community event? Email us at mondaynighttalk@gmail.com or "like" and post a comment on our Facebook page: www.facebook.com/mondaynighttalkon959fmwatd. If you're a fan of the show and enjoy our segments, you can either download your favorite segment from this site or subscribe to our podcasts through iTunes today! © Monday Night Talk with Kevin Tocci - 2019. Unauthorized use and/or duplication of this material without express and written permission from the show host and/or owner is strictly prohibited.